Show Racism the Red Card is involved in a project collaboration between UNISON Northern, Nomadesc and communities in southwest Colombia. We are urging people to support this work by making a donation via the Crowdfunding page. This project is about using football as a means of protecting human rights in Colombia, working with young people in areas which in different ways have been affected by violence and displacement through the armed conflict, and whose territories are under threat, for example from mining or corporate redevelopment projects. Despite the recent peace agreement between the government and FARC (one of the three guerrilla movements in Colombia), violence against activist is still rife. A report this week from local NGOs said that 101 activists were murdered over the past year. The first time around, the tournament was focussed only in Buenaventura, Colombia’s main port and one of the cities most affected by the armed conflict. 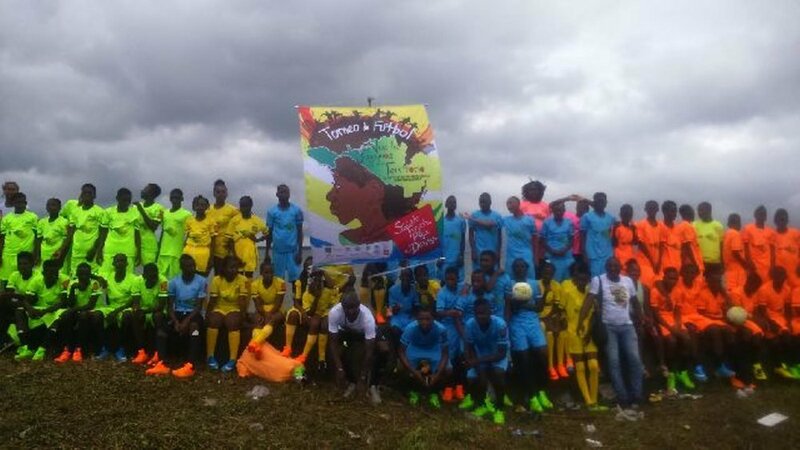 This time, the aim is to incorporate other affected communities, to have an intercultural tournament with indigenous communities, peasant communities, and afro-Colombian communities. We are raising money to cover the extra costs of expanding the tournament.